Hi friends! I’m so excited to be here with Thrive today to share these tutorials with you! 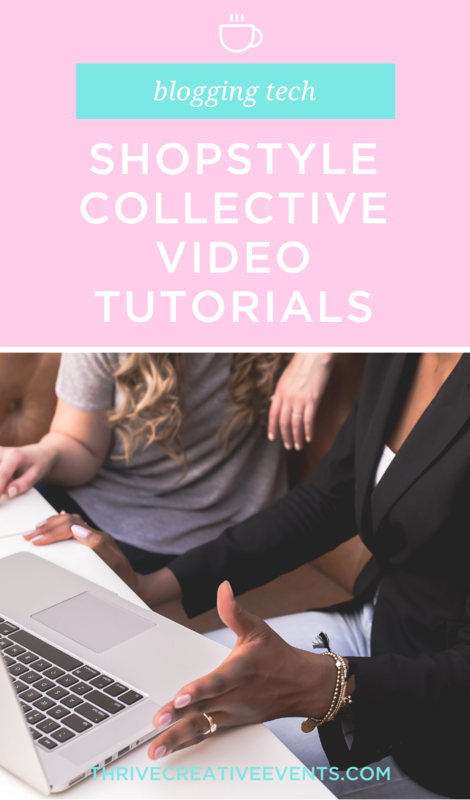 ShopStyle Collective is a great tool to use for generating income through your blog so I’m going to be sharing some ShopStyle Collective Video Tutorials to help you get started! These videos will give you a broad overview of the ShopStyle Collective platform as well as a detailed look at each of the functions that makes ShopStyle Collective so great to work on! I’ll give you the overview of each video below as well as a detailed list of highlights for each video in case you just need to fast forward to that exact part! Before we dive in, I’ll just give you a quick overview of ShopStyle Collective. ShopStyle Collective is really an easy to use platform that helps you collect, organize, and share affiliate links for products that you absolutely love. Whether you’ve never used affiliate links or if you’re a seasoned affiliate link aficionado, you can use ShopStyle Collective to level up your affiliate marketing game. Here are some of the highlights from the Video One – ShopStyle Collective Overview! ShopStyle Collective makes it super easy to search for products within their catalogue and save them to lists to help you keep them organized! Here are some of the highlights from Video Two – ShopStyle Collective Search Function & Lists. Widgets are a great way to create one easy place for your reader to shop multiple items that are included in a blog post, outfit, or photo! You can place widgets inside a blog post, in your sidebar, or on a page on your blog using the HTML code. Here are some of the highlights from Video Three – ShopStyle Collective Widgets. Looks & Collections are the most functional and robust part of the ShopStyle Collective platform! This is how you will share affiliate links that are associated with a specific photo with your readers in a very intuitive way! Here are some of the highlights from Video Four – ShopStyle Collective Looks & Collections. I hope that these ShopStyle Collective video tutorials have been helpful for you! If you have not gotten started yet, bookmark this post because it will be super handy to have when you apply and get accepted! For more details on affiliate links and affiliate marketing strategy, be sure to listen to my Blogcast episode with Bree where I share a ton more information!